I was scrolling social media recently and saw someone’s post about some things they had been going through. The only thing I remember from that post was “I had to protect my happiness.” This stood out to me because as much as we always hear people talk about how to be happy, and where we can find it. When do we discuss protecting and maintaining that happiness, once we have found it? Being able to honestly and wholeheartedly say “I AM HAPPY” can take a lot of work, so knowing how to protect that precious feeling once we have it, is worth discussing. Here are three ways you can protect your happiness no matter where you are in life. Know when you are happy. Yes, when and not what or who because people and things are not what makes us happy, well not for the long term anyway. Happiness is a feeling, and you have to know when you are in that place. Some people are happy when they are feeling productive or helpful or appreciated. Others are happy when they feel mentally stimulated or innovative or secure. Everyone’s happy place is different and only YOU know what takes you to that place! Understanding when you are happy is the first step to being able to ensure that you will always be able to find that place. Embrace your happiness. Happiness looks different for everyone, and you have a right to enjoy your happiness. Some people keep searching for a happier feeling because society is telling us we need “x, y & z” to be happy. Let’s repeat this again, everyone’s happy place is different!! If a sense of freedom is what makes you happy, build your life around having that. Will everyone understand or agree with your life? No, and that is OK. Once you embrace it you become OK with removing yourself from situations that do not add to your happiness. You become OK with limiting or eliminating people that bring you down and away from that place. We grow and evolve accepting and acknowledging what currently makes you happy is OK, even if it is different than last year or different from your family and friends. Prioritize your happiness. If you don’t make your happiness a priority, no one else will. It has to be a priority because when we are at our best we are happy and when we are at our best, we are the best mother, sister, daughter, employee, co-worker, manager, or friend possible. Happiness isn’t caused by a single activity or person, it comes from within. Only you truly know when you are truly happy, so build a life that allows you to have those feelings often. As you prioritize your happiness, you begin to see the value in it, and other people’s needs and wants become less of a priority. You will begin to say no, look for alternate solutions, and take time from other things that can wait. This is important because we often prioritize others over people’s needs, feelings and wants over our own and never get to take care of ourselves. Making your happiness a priority in your life is the best way to make sure it is a constant in your life. The best advice ever given to me for self-care if about the reminder they give you when you are on an airplane to put your own oxygen mask on first. This is difficult because many of us are inclined to help others, but if you are tired, broke, and unhealthy how will you be helpful to others? Life will never be perfect which is why we must know what makes up happy, embrace it and incorporate it into our lives and finally prioritize it. This is the only way we ensure we keep that happiness. What feelings are feelings are essential to your happiness? What is the best self-care advice you’ve heard? 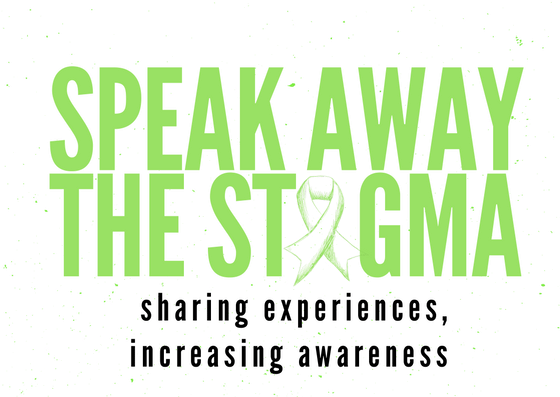 Let me know by commenting below, on social media (@speakawaythestigma) or email me at speakawaythestigma@gmail.com. Next Next post: A letter….